Even without his robe, Kevin Lee Light looks angelic. 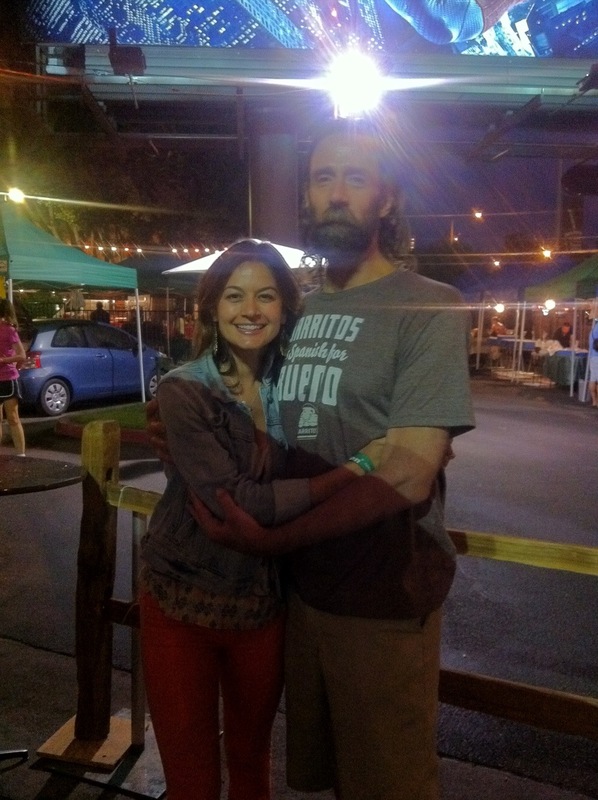 I ran into long-time pal and subject of another one of my blogs I Saw Jesus in LA at the Sunset Strip Market in West Hollywood last Thursday night. 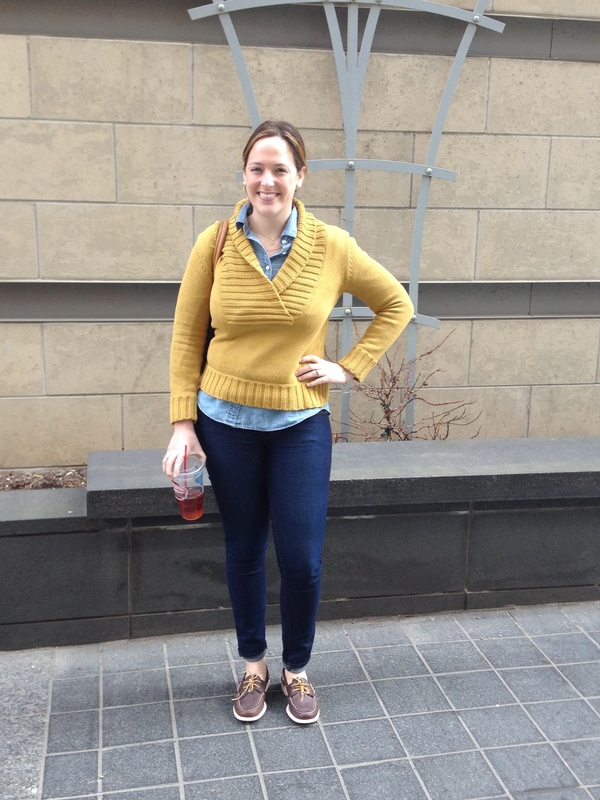 While Jesus was out and about in his plain clothes, I stuck to my denim on denim uniform: James Jeans Twiggy denim leggings in coral I picked up at Rowe in Columbus, Ohio and my Gap jean jacket I still have from high school. Good news for fans of both my sites: Kevin informed me he just got a denim Jesus robe. Can’t wait to see that look. 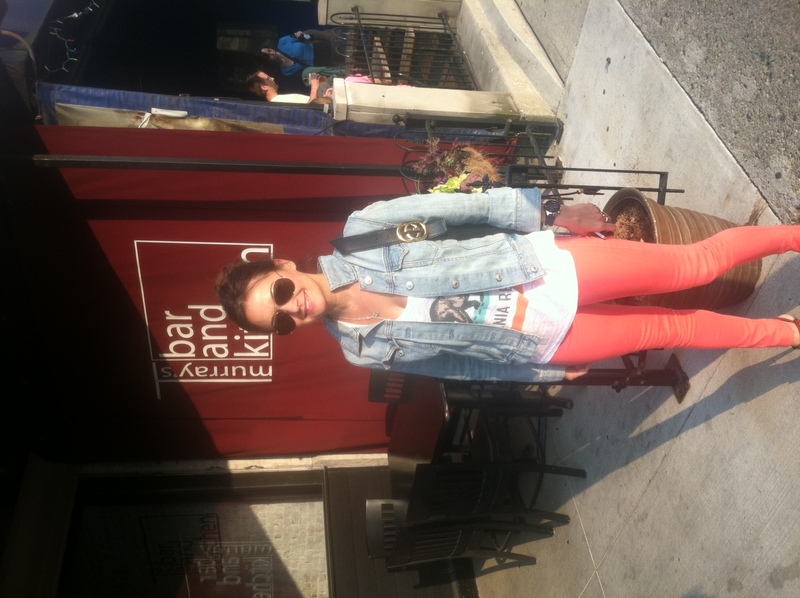 Here I am in my new James Jeans Twiggy denim leggings in coral I picked up at Rowe in Columbus, a California flag t-shirt from Essex Clothing on Melrose in LA, vintage Gap denim jacket in front of my friend Tony Murray’s place, T. Murray’s Bar and Kitchen in the Brewery District. More double denim at Rowe! 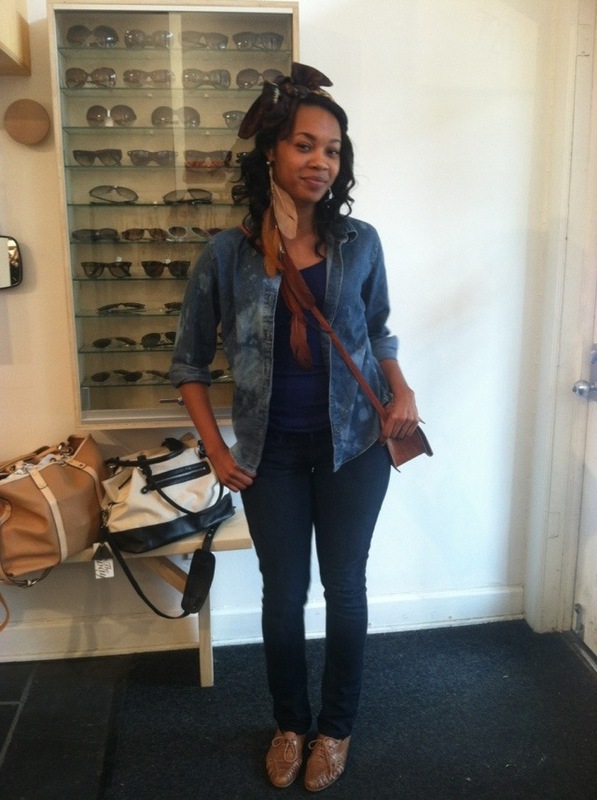 Yesterday was the James Jean Trunk Show at Rowe in Columbus, Ohio, and the Canadian Tuxedo was definitely the look of the day! 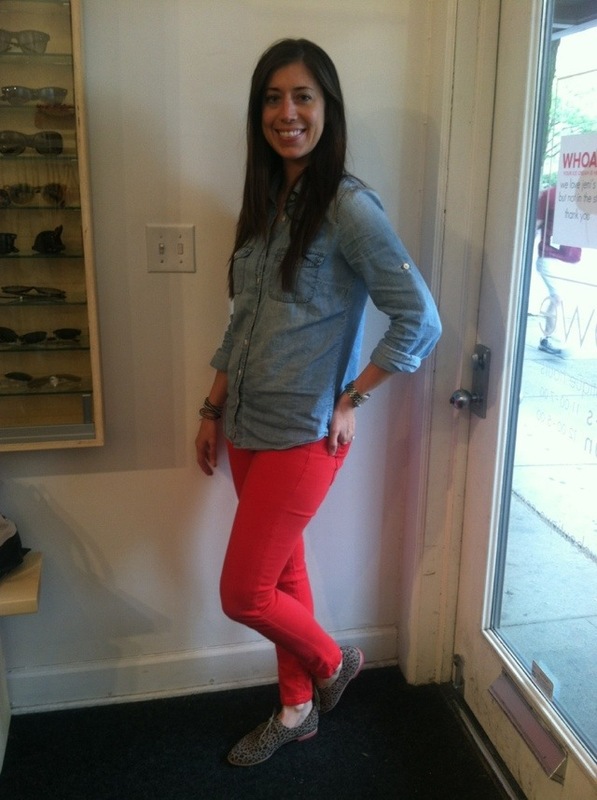 Here is Allison Moneme in James red denim pants and Dolce Vita shoes.